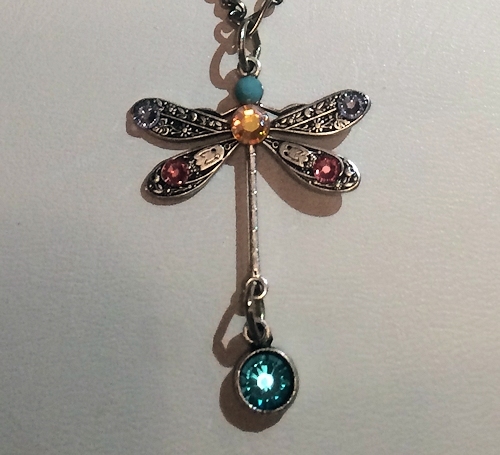 This silver plated multicolored dragonfly necklace is encrusted with a variety of Swarovski crystals including Hyacinth AB, Sun AB, Tanzanite, Vitrail Light, Peridot, Citrine AB and Jonquil AB. 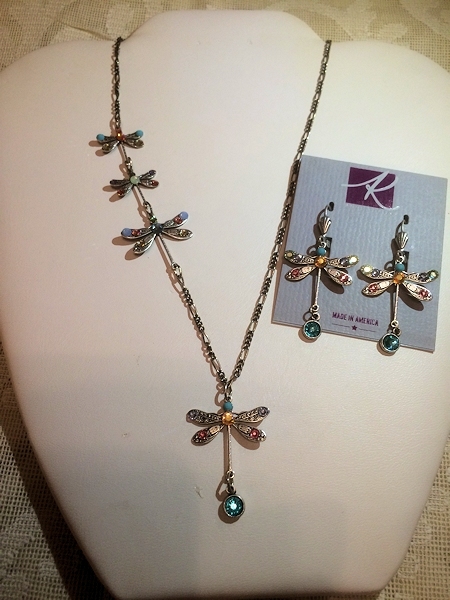 A gorgeous romantic set which is timeless in design. 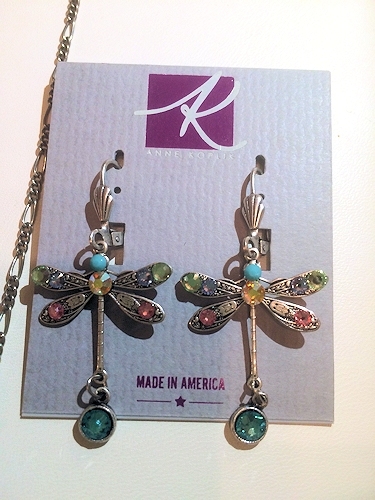 Legend has it that dragonflies are associated with the symbolic meaning of transformation. 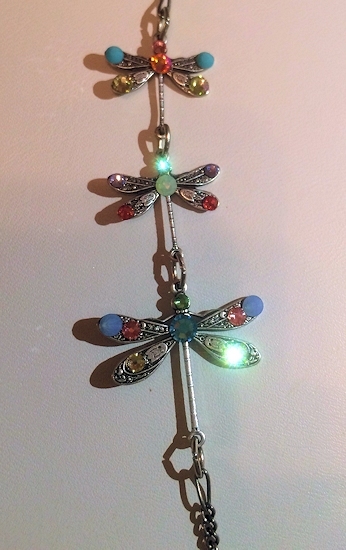 Depending on how light hits these dragonflies they reflect different, eye catching hues. Whether worn with jeans or a cocktail dress this set is amazing with anything!